Find out how prime ministers combine their professional duties and personal passions. Resources include a road bicycle and a prime ministerial speech transcript. Can riding a bike help you run a country? 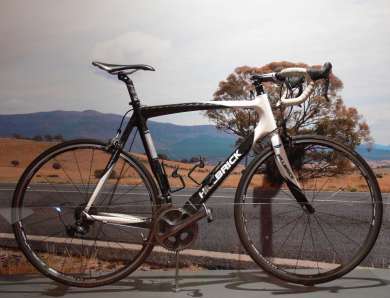 Which Australian prime minister did this bike belong to and what is Pollie Pedal? Research and list some of the roles of the Australian prime minister. How did this bike help the prime minister who owned it fulfil his roles? Discover some of the places he travelled on it and the issues which were promoted. Would you like to be Australia's prime minister? If you were, what would you be most passionate about and how would you try to change our nation? How would you connect with the Australian people to share your ideas? If you were the prime minister, which object would you donate to the Museum of Australian Democracy collection? Write an object statement (using the road bicycle statement as an example) to explain what it says about you as prime minister and why it is important for the object to be kept in a national collection. Tony Abbott used his long distance Pollie Pedal rides to promote and raise funds for causes he supported. Design a promotion (I-movie, animation, advertisement, poster or song) to increase awareness about an issue or charity you care about.